Location , great balcony , exelent view of the ocean, perfect for two or three days two persons. 5-Personen-Appartment war für uns beide sehr gut ausgestattet - zu fünft? Strand direkt um die Ecke, Hafen = Ortsmitte ein paar Minuten: bestens. Phantastischer Blick über die Bucht und Toulon. Accueil agréable, personnel sympathique et arrangeant. La résidence est très bien située, entretenue, même si certains équipements datent un peu. - L'emplacement de la résidence, proche des commerces et de la navette maritime pour Toulon. - la superbe vue sur la rade et le petit port de St. Mandrier depuis les balcons ou terrasses (à condition d'avoir réservé un appartement "vue mer"). - la salle de bain (récente) à l'italienne. Vue sur la mer. Avons été très bien accueilli. Intervention maintenance rapide. Confort matelas lit 2 places (matelas neuf). Tout était très appréciable, l'emplacement , le personnel, appartement très pratique étant avec un bebe, linge de lit et de toilette propre . Résidence Pierre & Vacances Les Jardins de la Côte d'Azur offers accommodations in Saint-Mandrier-sur-Mer. Cassis is 22 mi away. The accommodations is air-conditioned and features a seating area. There is also a kitchen, fitted with a dishwasher. An oven and microwave are also available, as well as a coffee machine and a kettle. Toulon is 3.1 mi from Résidence Pierre & Vacances Les Jardins de la Côte d'Azur, while Porquerolles is 15 mi from the property. The nearest airport is Hyères Airport, 11 mi from Résidence Pierre & Vacances Les Jardins de la Côte d'Azur. When would you like to stay at Résidence Pierre & Vacances Les Jardins de la Côte d'Azur? This studio has a balcony, air conditioning and dishwasher. This studio has a balcony, air conditioning and oven. This studio features a balcony, air conditioning and seating area. House Rules Résidence Pierre & Vacances Les Jardins de la Côte d'Azur takes special requests – add in the next step! 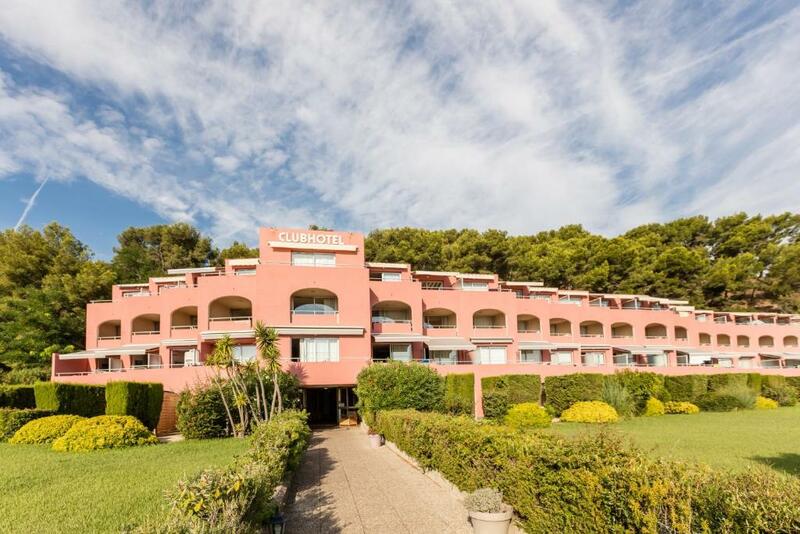 Résidence Pierre &amp; Vacances Les Jardins de la Côte d&#39;Azur accepts these cards and reserves the right to temporarily hold an amount prior to arrival. Résidence Pierre & Vacances Les Jardins de la Côte d'Azur accepts these cards and reserves the right to temporarily hold an amount prior to arrival. Please note that these hours can be subject to change, please contact the residence before your arrival. Please note that the room rates include accommodations, bed linen, charges, tax (except tourist tax and application fee) and basic WiFi access. A baby kit, suitable for children under 2 years weighing less than 15 kg, is available at the property and charges are applicable. This kit is subject to availability and includes: 1 cot without a mattress, 1 bed sheet and 1 high chair for infants from 6 months old. Guests requiring a baby kit can call the property after booking to reserve one. Please note that in case the total amount of the reservation is not paid in the timeframe set in the policies, the property reserves the right to cancel the reservation and apply cancelation fees. For stays of 6 days or less, check-in is available from 14:00 and check-out is at 12:00. Please note that credit card is the only accepted method of payment. A damage deposit of EUR 200 is required on arrival. That's about 225.10USD. You should be reimbursed on check-out. I travel for business, the internet never work, in the advertising say two rooms to accommodate 5 and after one night I began looking for an other place because it is way to small.